In January we will start accepting nominations for the Chamber Business of the Year award. You may vote for any business in Butler – not just those who are members of the Chamber. Watch for ballots in the local papers, and for more details on our Facebook page. We are also seeking nominations for board members. Please contact our office for more details at 660-679-3380. 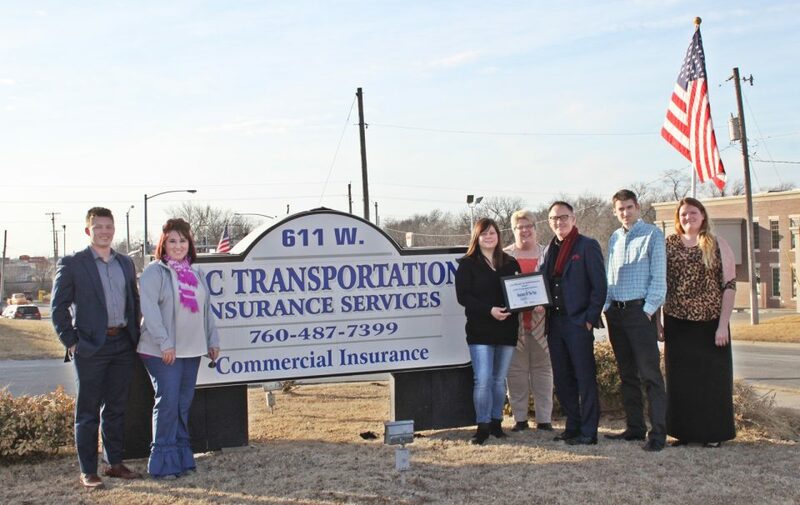 Pictured: In 2018, CTC Transportation Insurance Services was voted the Butler Chamber Business of the year.